After spending the day losing money and gazing at cocktail waitresses in some lovely outfits, I worked up an appetite and went to meet Evan for a bite to eat. It was late and we didn't really want to venture far, so since we were at the Wynn Hotel in Las Vegas we checked around for a pizza place. We walked around for a while and couldn't find anything so we finally swallowed our male pride and asked one of those lovely cocktail waitresses where we could get some pizza. She told us the best pizza could be found towards the front of the hotel and was called Allegro. 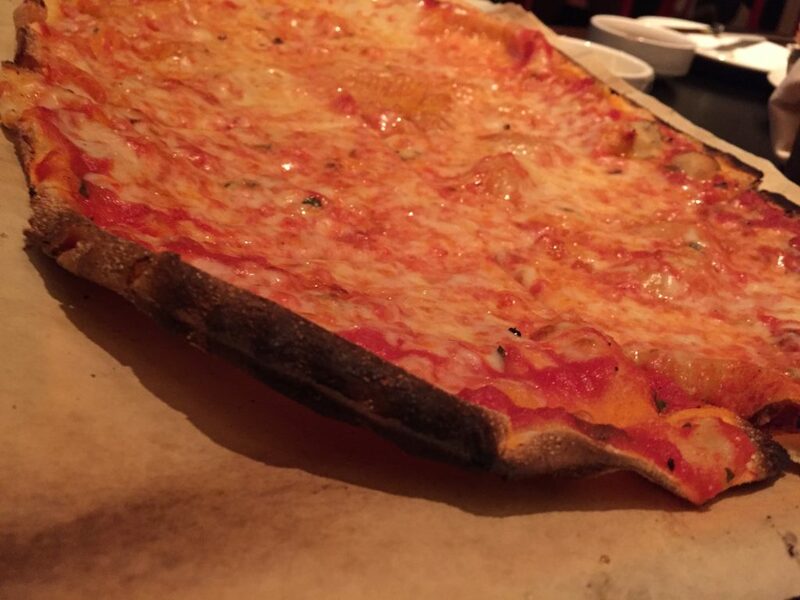 We headed over to Allegro and couldn't wait to try the best that the Wynn Hotel had to offer. Once seated, I started to flip through the menu and found the only part I cared about.. the pizza. 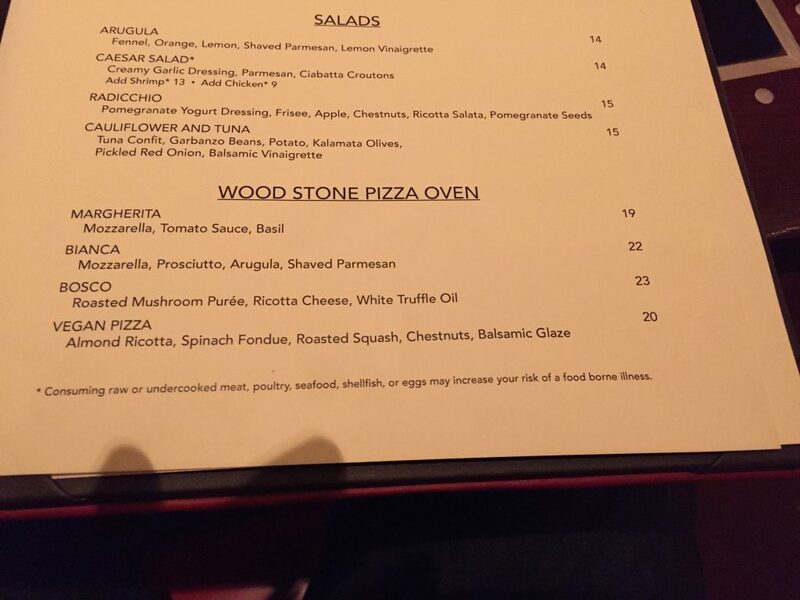 Allegro is super fancy and has Wood Stone Pizza, this must be very different than Wood Fired Pizza, or Wood Oven Pizza, or Stone Oven Pizza, or Stone Bottomed Pizza or whatever the heck these places will call it to try to make people think their pizza is better sounding than tasting. I ordered the Margherita pizza with no basil. It was $19 which was a little pricey, but then again so are many things at the Las Vegas hotels. When the pizza from Allegro Pizza Wynn Hotel Las Vegas arrived at the table it wasn't what I expected. This was a rustic style thin pie in an oblong shape. It was a nice sized pizza and I started thinking maybe the $19 wasn't such a bad deal. 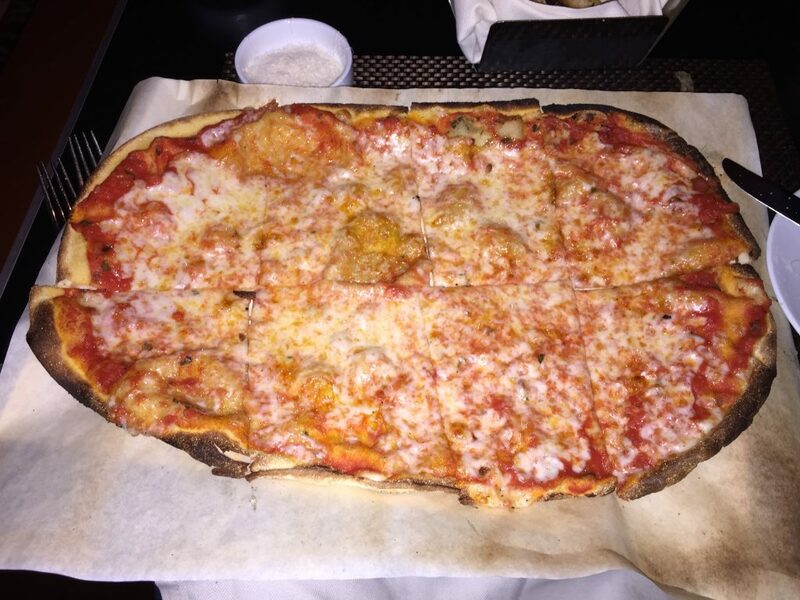 Sorry, I meant to say this was a nice sized wood stone pizza. Please forgive me Allegro. I took the first bite and wasn't too blown away by the taste. 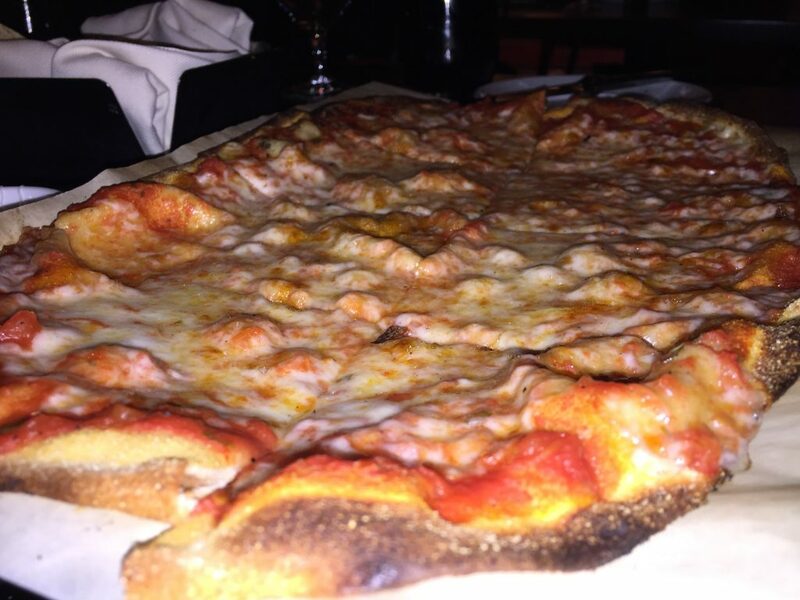 Although the pizza from Allegro was nice looking, it wasn't so nice a taste. I truly expected more from Chef Enzo Febbraro. The crust lacked taste, it was bland and really underwhelming, but at least contained a good crispness to it . The sauce was decent and the cheese tasted fresh. The cheese was probably my favorite part of this pie, since it tasted like a quality blend. Based upon the time of night, and our unwillingness to hop in an Uber and go to another hotel, I guess beggars can't be choosers. At least we got pizza. Usually when I am starving, some otherwise average pizza places taste better. Unfortunately this wasn't the case and I didn't finish the pie. If you go with someone, these pizzas technically are big enough to feed two, so consider that prior to ordering your own. 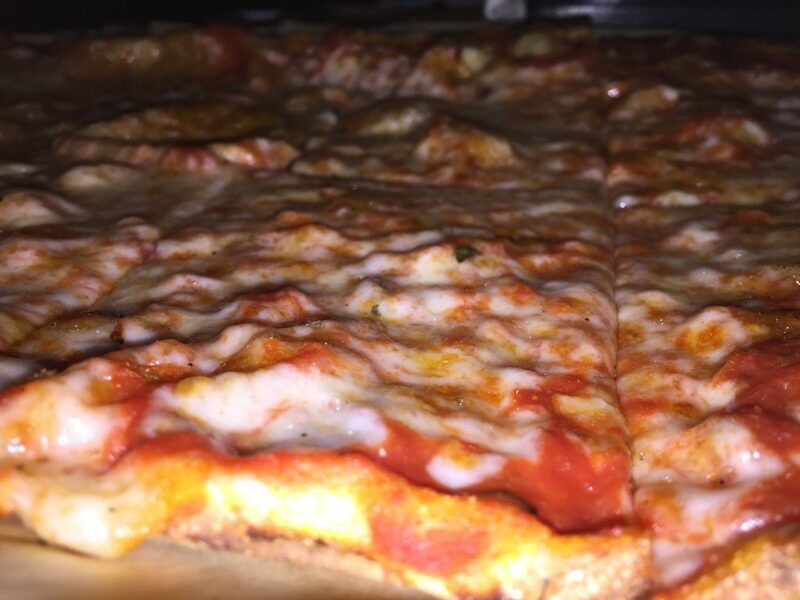 Allegro Pizza Wynn Hotel Las Vegas gets 4 out of 8 slices. It isn't a place I would rush back to for the pizza, but maybe the other dishes are good there and deserve a try.